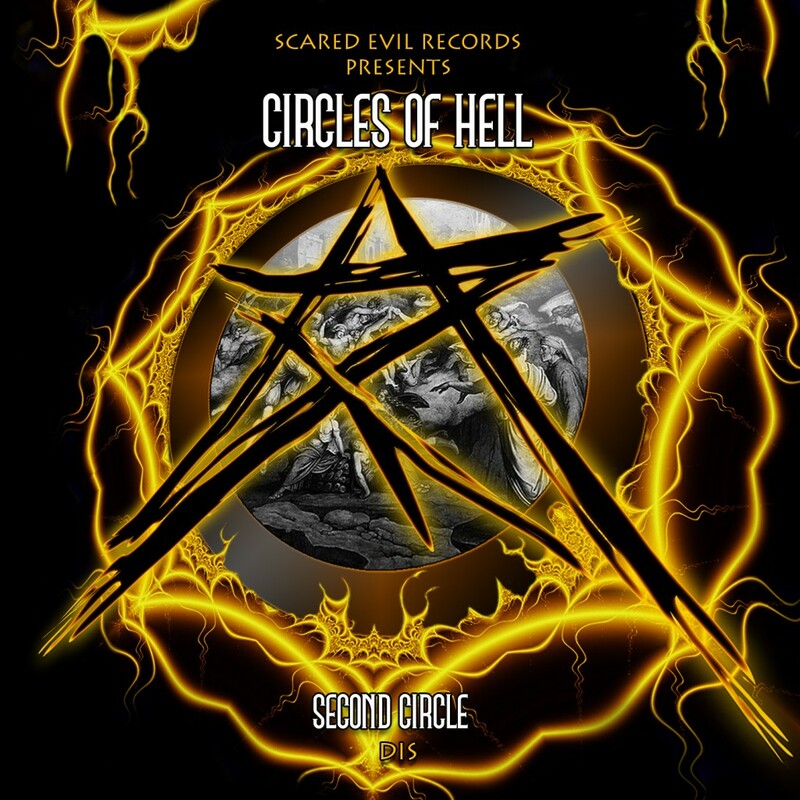 German darkpsy collective Scared Evil Records serves up its second installment of a 9-album series of free net releases called “Circles of Hell”. 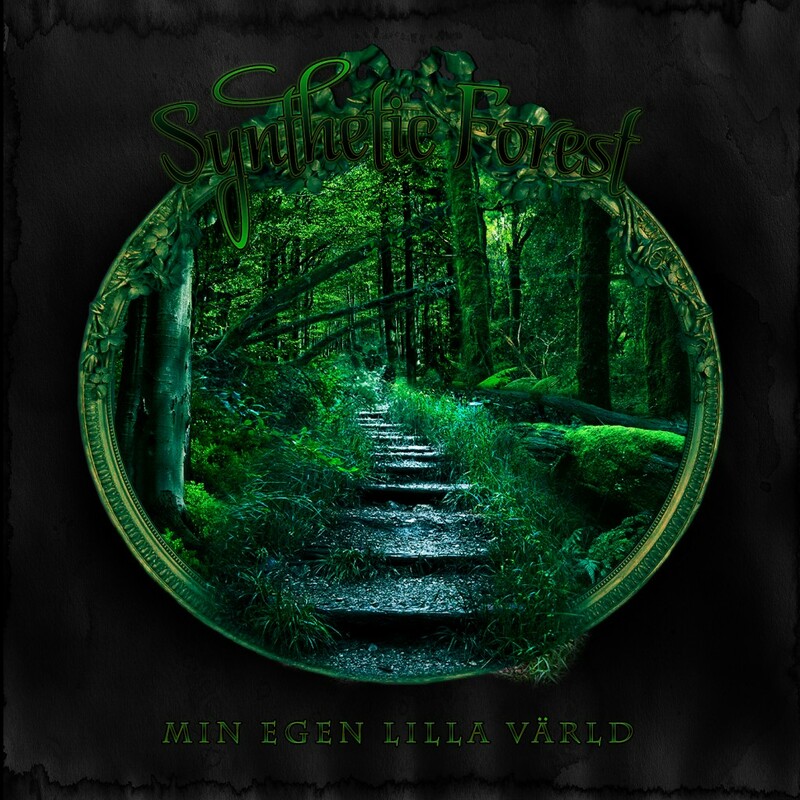 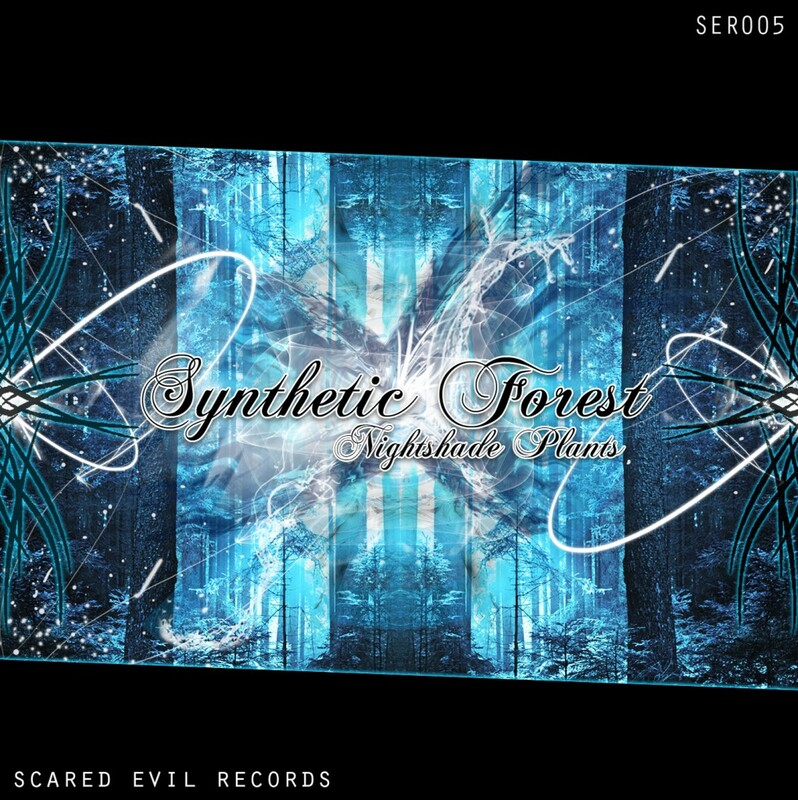 Sleeplessly industrious, these ten projects from all corners of the world come together to produce a deeper tour into the further depths of dark psychedelic trance. 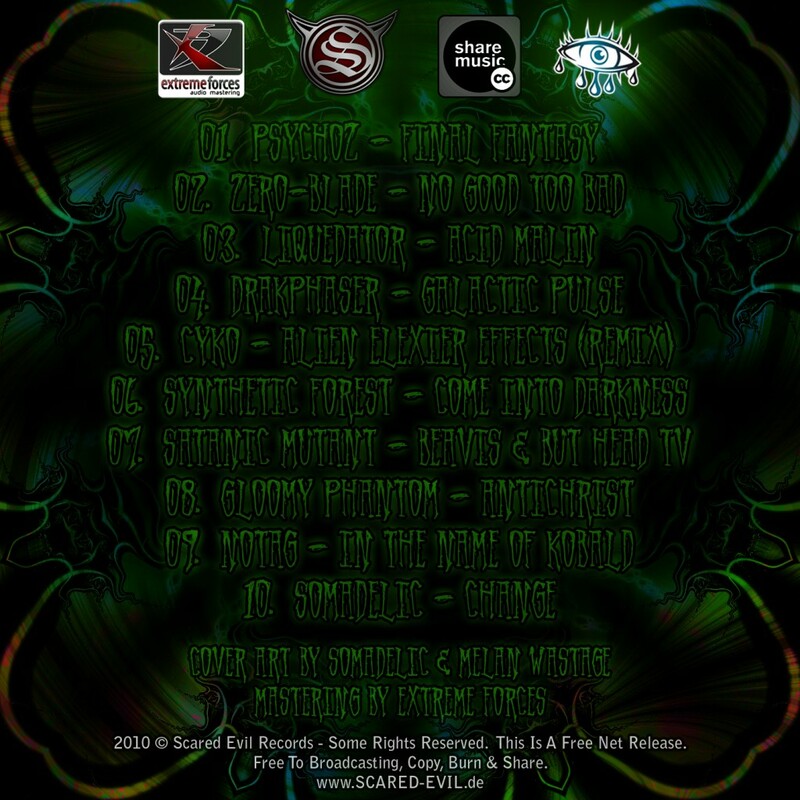 With a variety of styles and tempos encompassing the breadth of the subgenre, “Dis” is an underworld city populated by digital demons and ghosts in the machines. 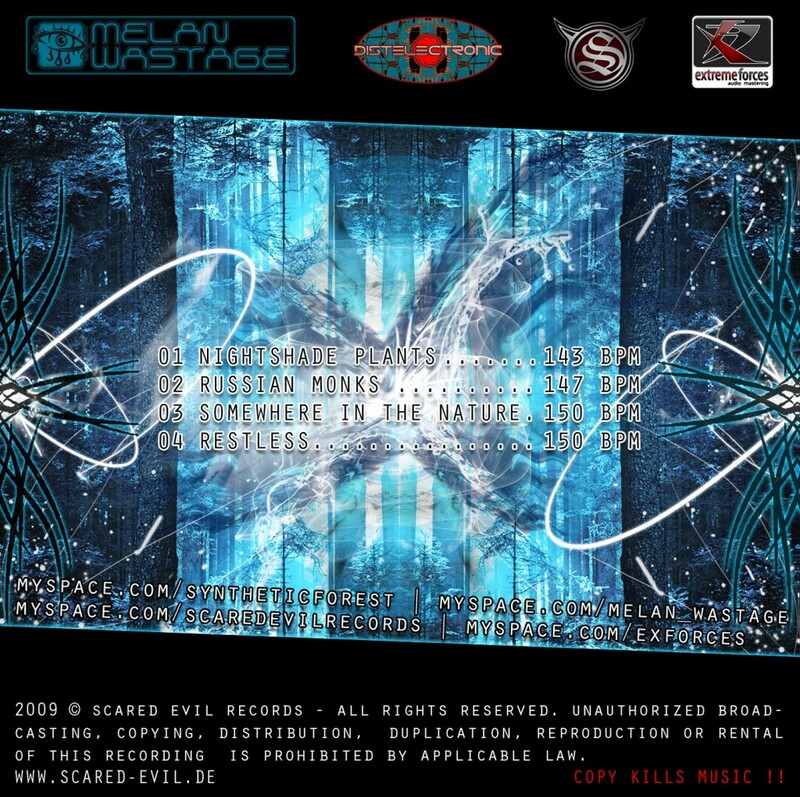 Connoiseurs of the harder, edgier side of the psy-trance spectrum can expect plenty of mind-tearing, foot-loosening, sense-crushing frequencies without a moment of disappointment, and every track is a product of its creators’ feverish, selfless desires to spread sinister sounds for the global comminuty to freely enjoy. 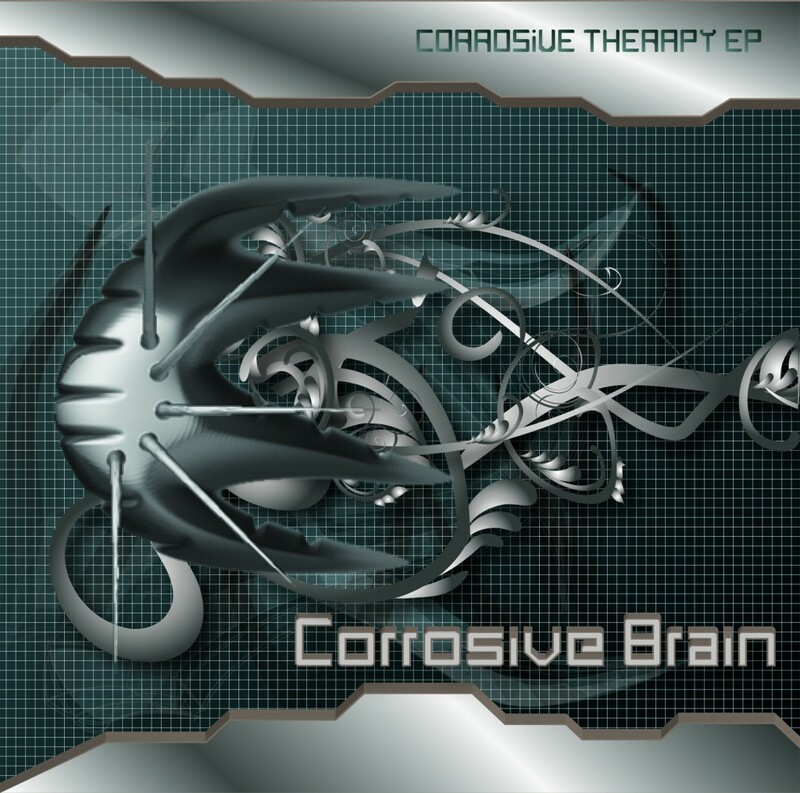 Corrosive Brain is Hugo Peres, of Portugal has spent most of the past decade completely immersed in his love of the music. 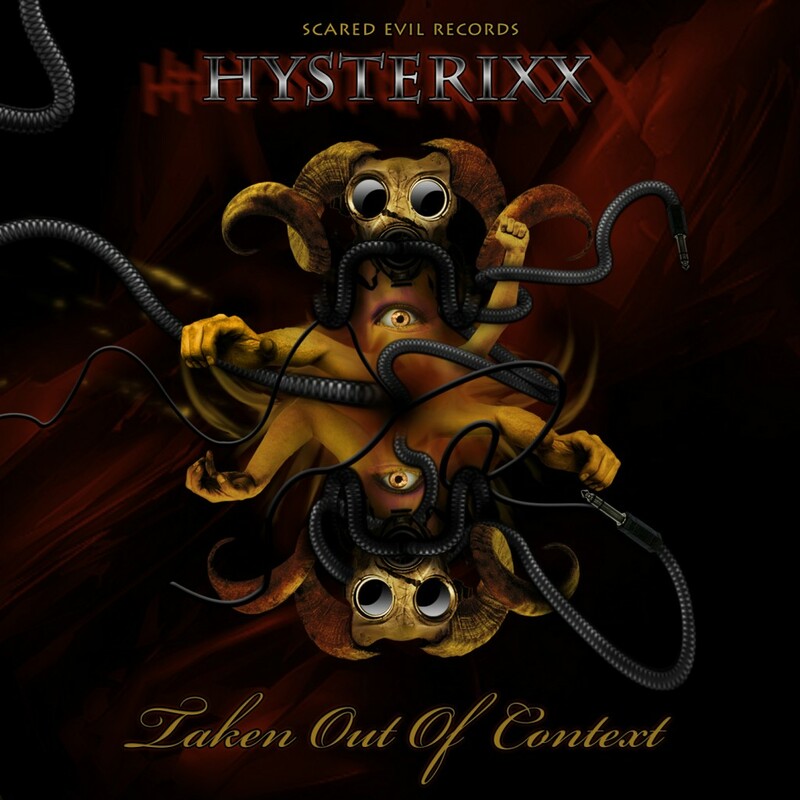 From his early days of DJing and mixing tracks in and around Iberia to the present day as a liveact and producer, Hugo’s style has evolved into an unforgiving blend of psychedelic insinuations with a touch of rhythm and funk mayhem along with introspective thematic suggestions. 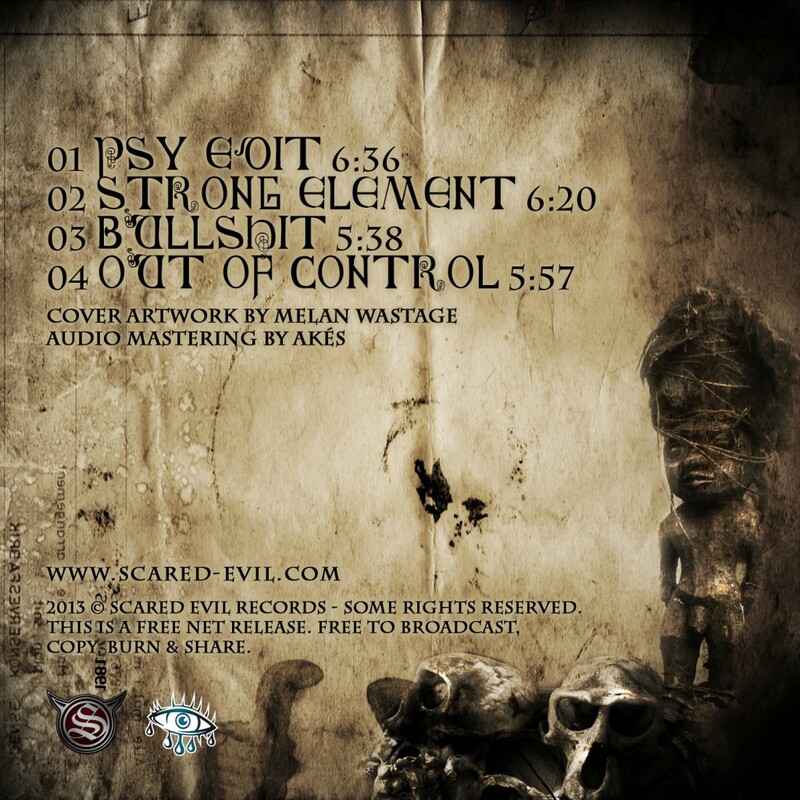 In 2007, Hugo started his production act which has helped evolve his style into something even further advanced and no less personal. 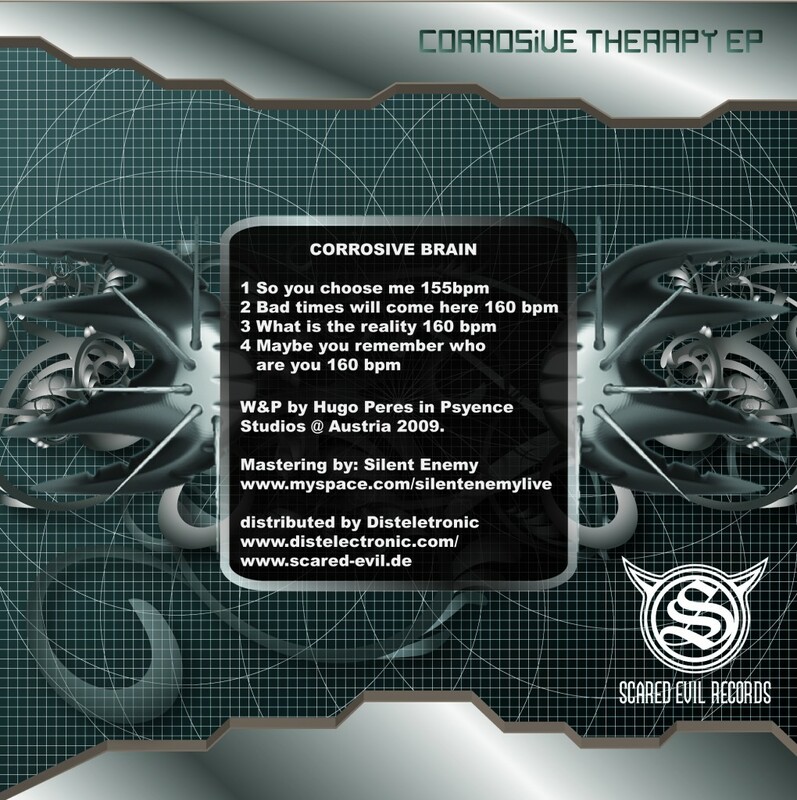 After releasing some of his music on various compilations, Corrosive Brain is ready with his latest EP, Corrosive Therapy, to be released on German label Scared Evil Records. 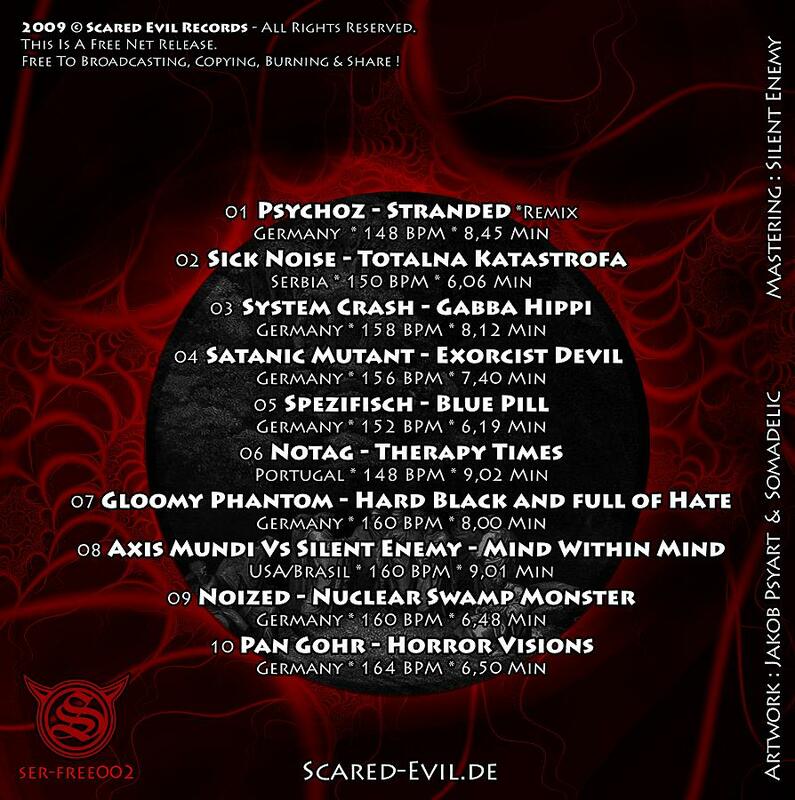 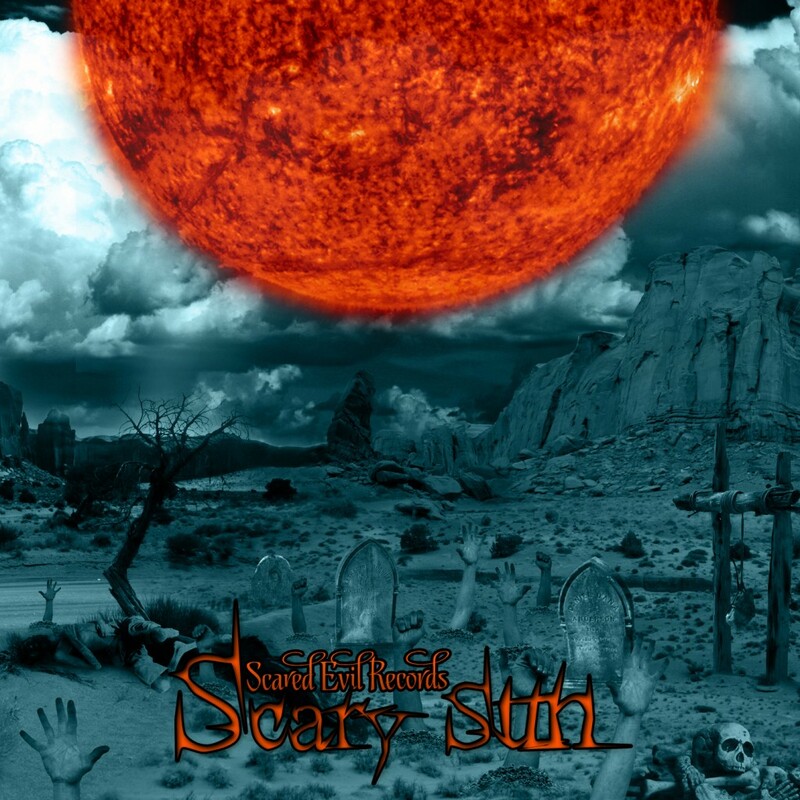 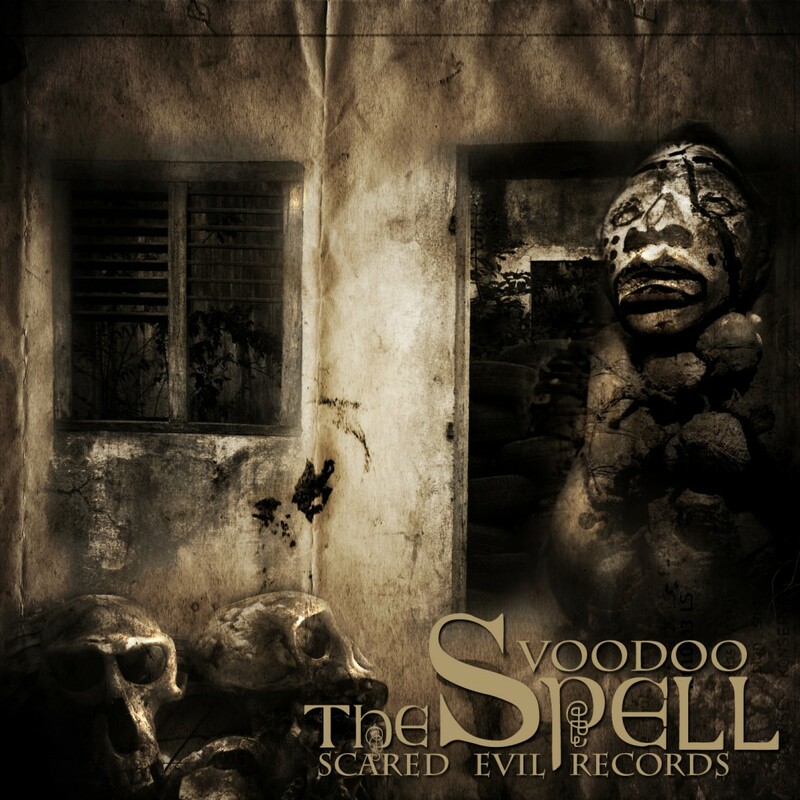 German dark psytrance label Scared Evil Records has been full of industry and productivity. 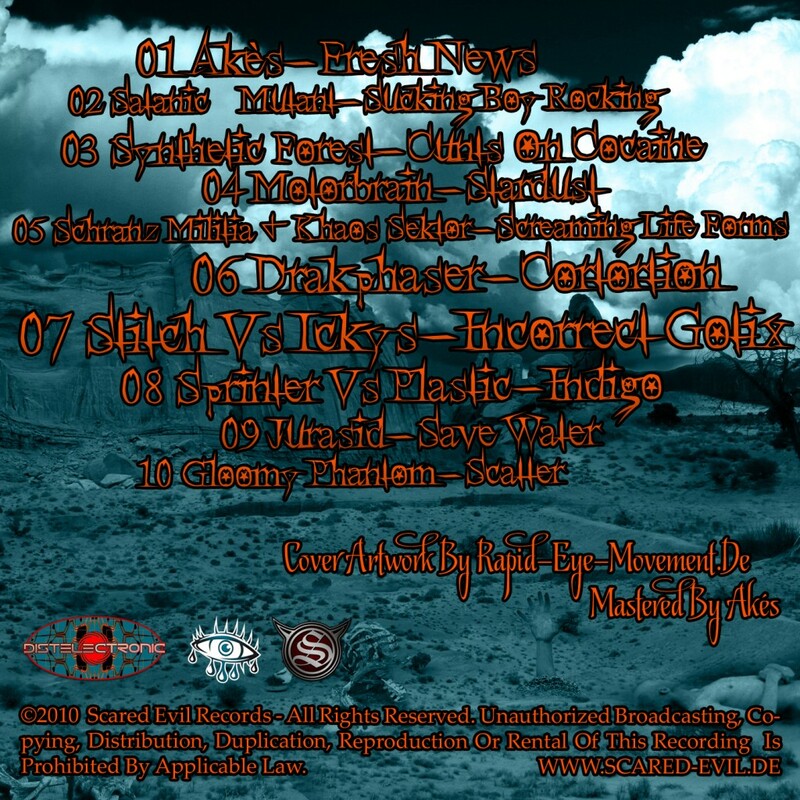 Enthusiastically working to spread the carnal sounds of msic which explores one’s more primal nature, its DJs and artists are spread aross three continents, creating ever more twisted tunes in the studio and performing regularly at some of the largest events in the US, Europs and Brazil, as well as selflessly releaing many of their creations free for the world to enjoy. 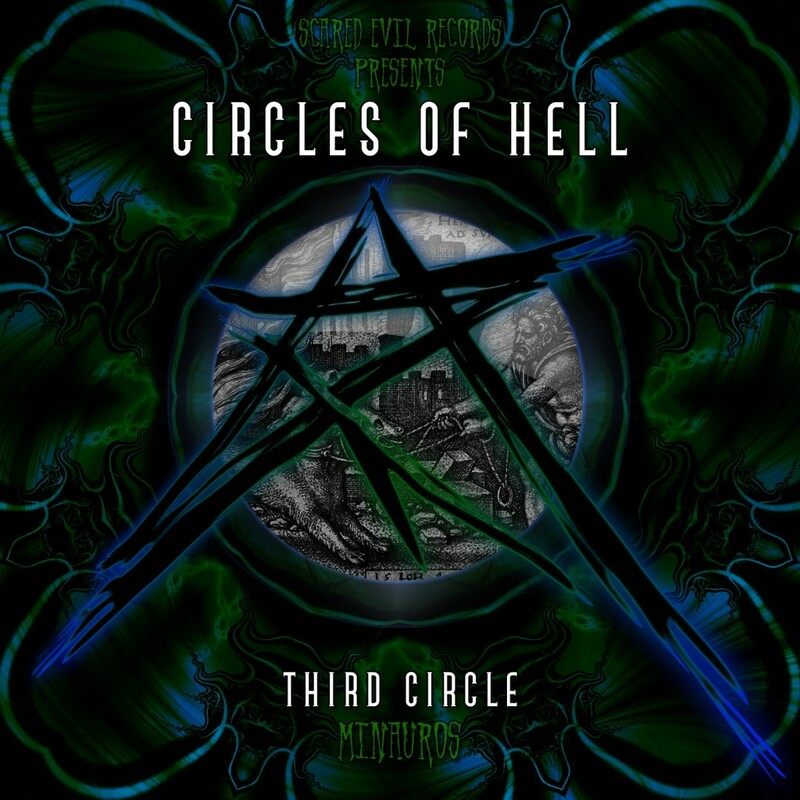 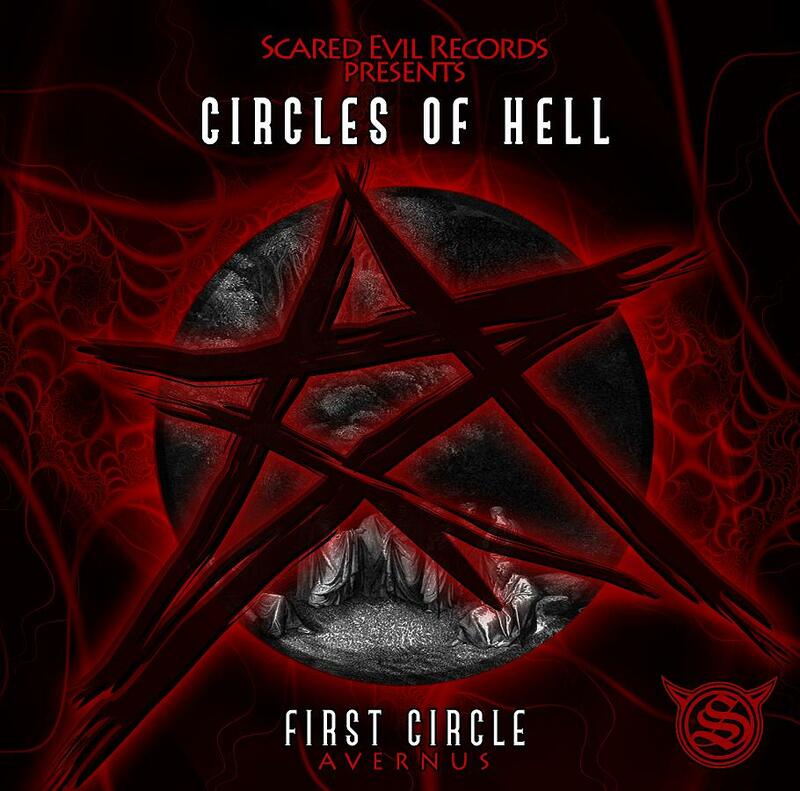 Enter their latest compilation, “Avernus”, the first in a nine-album series of free dark psytrance compilations titled “Circles of Hell”. 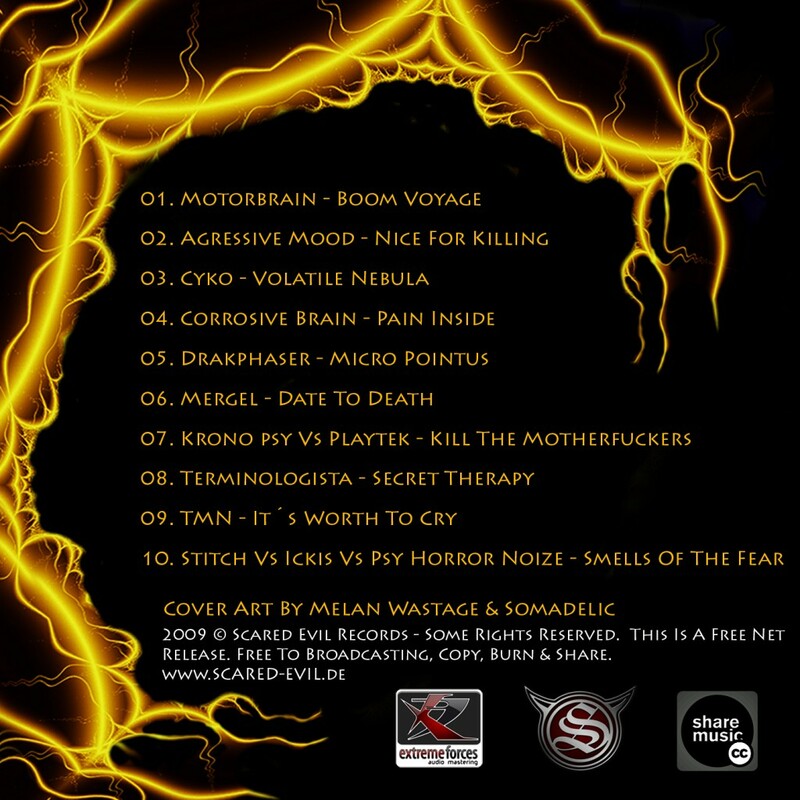 Featuring ten tracks of gripping bassbeats, sense-shredding synth arrangements, and pulse-stopping intensity, this compilation encapsulates the talent and know-how of each of these artists perfectly, with nearly every bar packed with enough scary sounds to keep your feet jumping, your juices pumping and your hairs standing in formation along the back of your arms and neck.